Start by doing what’s necessary; then do what’s possible, and suddenly you are doing the impossible. 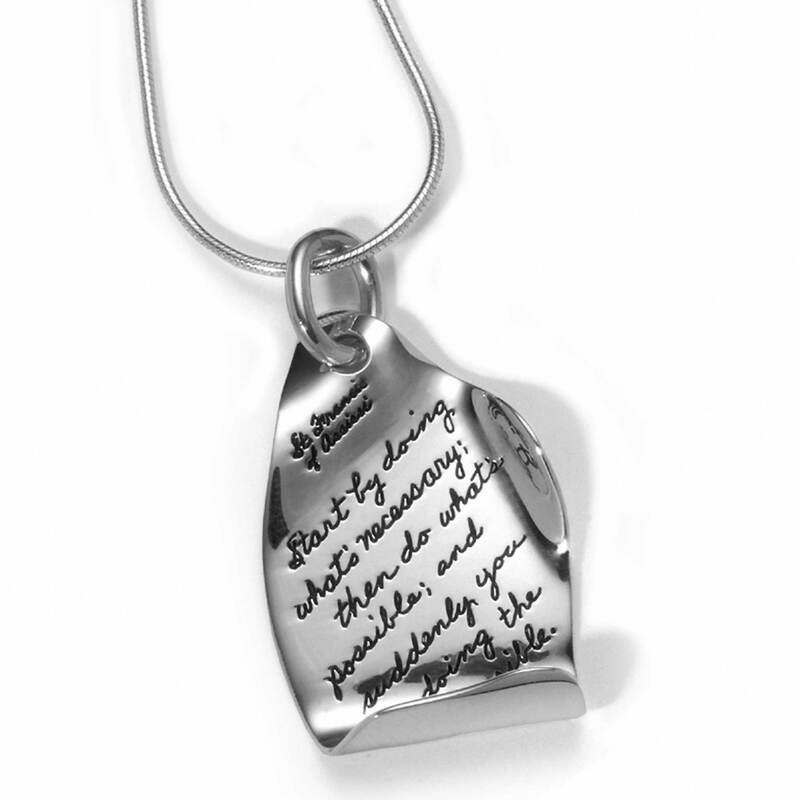 Gentle folds of sterling silver hold an encouraging script-engraved verse. This piece makes a statement not only with its striking design but also with the words it holds. It helps you think of each action you take as a step in unfolding a promise. You don’t have to reach your ultimate potential in one day. Take your goals one step at a time until you find yourself accomplishing what others called impossible. This necklace includes an elegant 18” sterling silver chain. We polish it by hand.